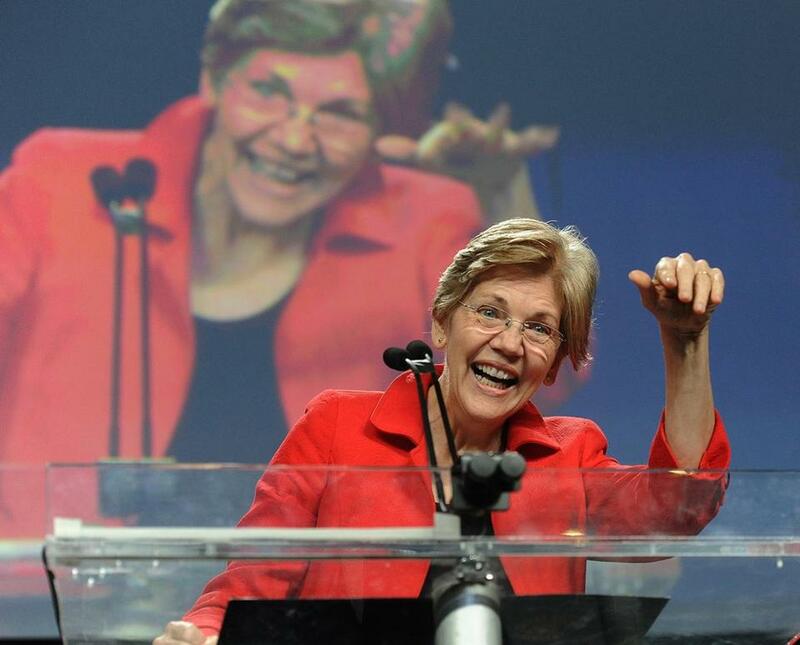 Sen. Elizabeth Warren, D-Mass., waved to delegates at the 2015 Massachusetts Democratic State Convention. Every day the political environment looks better for Vice President Joe Biden to enter the Democratic presidential contest. With one recent exception, Hillary Clinton’s lead over Sanders has been shrinking. And there are also clear signs of a growing chunk of people who aren’t with Clinton, but who don’t see US Senator Bernie Sanders as an option either. 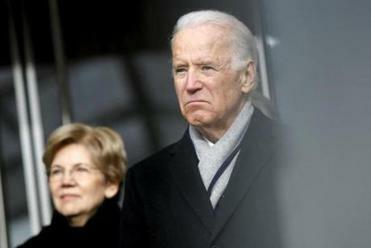 A Bloomberg Politics poll of national Democrats released Wednesday showed Biden second to Clinton. Yet, it is true the political environment is ripe for a late entrant into the Democratic contest. It is also true that the next few weeks -- with a potential government shutdown, Clinton’s testimony for Congress, and the first Democratic debate -- makes for a perfect window for the right Democrat to jump in the race and make a serious play. Politically speaking, the perfect candidate is US Senator Elizabeth Warren (who appears tonight on the new Late Show with Stephen Colbert). As my Globe colleague Annie Linksey quoted a New Hampshire activist last week, Clinton “just doesn’t have the spark.” Yet, there are many women who want to see a woman in the White House. Yet as the vice president mulls a White House run, he’s aimed his charm at the firebrand senator. Warren is the candidate who can cut into Clinton’s demographic base, Sanders’s enthusiasm, and the Biden argument that the race needs a more established alternative (and without all of his political baggage). And unlike when people looked at Warren as an alternative to Clinton, she could come in today as a the party’s savior. By November, Clinton may have fully stabilized as the frontrunner, especially if Biden doesn’t run. Warren has, of course, said she will not run for president in 2016. So the ‘Draft Warren’ signs have been put away, and the ‘Draft Biden’ signs are being distributed. But now, more than ever, this is Warren’s moment. Ohio Governor John Kasich, who is in Boston today, will name his Massachusetts leadership team for his presidential campaign later today. They include former Congressman and Massachusetts State Party Chair Peter Torkildsen, State Representatives Paul Frost, Kimberly Ferguson, Peter Durant, and Jay Barrows, and State GOP Treasurer Brent Andersen.